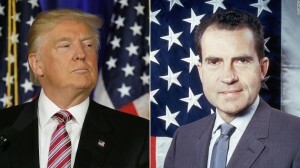 I recently posted that Donald Trump revives Richard Nixon’s 1968 playbook. You saw this play out on the first night of the RNC Convention. At a somewhat similar time of stress and struggle in America and the world, Trump chose that speech as a starting point, his campaign chief told reporters at a Bloomberg breakfast Monday morning. In that speech, given only months after the assassinations of Martin Luther King Jr. and Robert F. Kennedy and amid rioting in many U.S. cities, Nixon cited the fears and resentments of “forgotten Americans” and vowed to return “order” to the streets and country. The speech was aimed largely at white middle-class voters in border and Midwest states whom Alabama Gov. George Wallace was also appealing to in an openly racist way. As a third-party candidate, Wallace was destined to win the Deep South in the fall, but the Nixon team devised a “law and order” theme ― a vow to restore order in the cities of the North ― that would appeal to the same voters and bring them into the Republican camp. The aim was not to “unite” America, as Nixon claimed, but to target enough white middle-class support (as well as support from a smattering of other groups) to win. Manafort made clear that Trump’s core strategy in 2016 is the same, and that in the campaign’s view, the “angst” created by recent police shootings of African-Americans, as well as attacks on police, create an “opportunity” for the campaign. Trump will not offer the convention or the American people “happy talk” about the need for unity, he said. Accordingly, Manafort added, Trump will stick with his modified “Muslim ban,” now tailored to countries with patterns of terrorism ― including, he said, France and Belgium. They will argue that Clinton’s troubles with her emails and the Justice Department’s decision not to prosecute her are an example of a corrupt law enforcement system that people in cities resent. “All of that resonates and causes unrest in the cities that get out of control,” he said. Protests outside the convention hall will only amplify Trump’s message, Manafort argued. “It will show a lawlessness and lack of respect for political discourse.” That’s a remarkable statement from the top aide of a candidate known for his inflammatory discourse. Trump’s attack on the Obama-Clinton team’s “double standard” of justice is justified, he said. 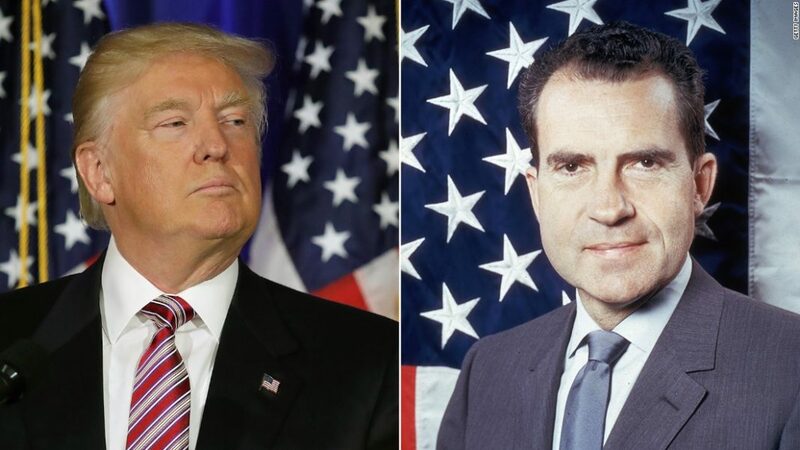 As I have also previously posted, Trump Will Model His Speech Off Nixon ’68. But 2016 Is Dramatically Different. This Paul Manafort, who represents authoritarian leaders, Trump’s new right-hand man has history of controversial clients and deals, is a major piece of work. Trump also has infamous Nixon “dirty trickster” Roger Stone working on his campaign. Trump is assembling a team of “ratfuckers” just like Nixon — even some of the same people.